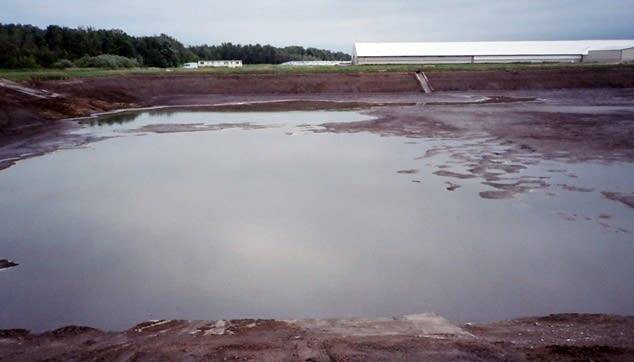 The Minnesota Pollution Control Agency says it won't re-issue a permit for the Excel Dairy farm in northwestern Minnesota, in effect shutting it down, but that doesn't mean the foul-smelling and overflowing manure pits will be cleaned up anytime soon. The operators had more cows in the barn than they should have, they built a feed pad without permission, and they tried methods of treating manure that weren't approved. 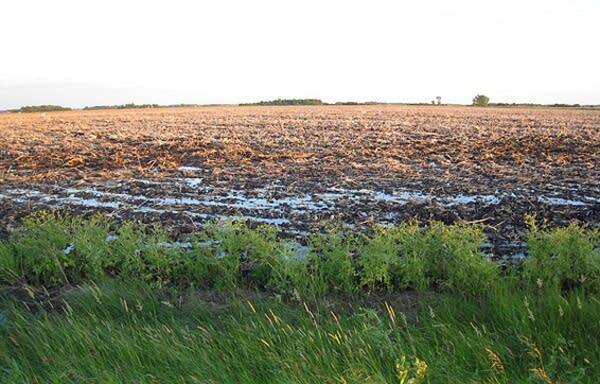 They also ignored orders to repair and empty manure ponds and failed to cover manure ponds that can hold 33 million gallons of manure. Neighbors for more than a mile around have been enduring extremely high levels of hydrogen sulfide. That's the rotten egg smell no one likes to encounter. But for Jeff Brouse and his family, it's changed their lives. 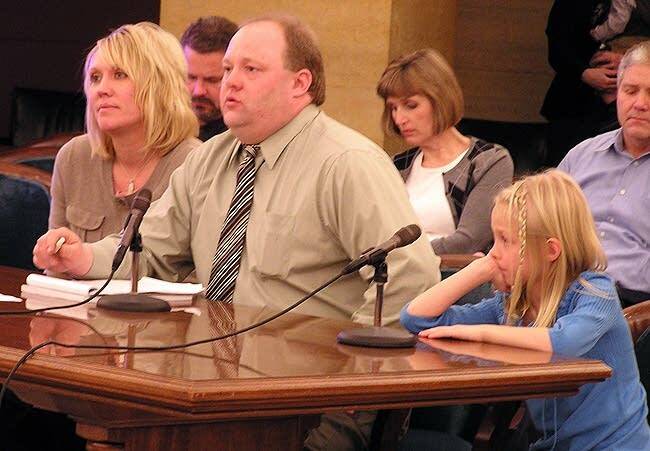 On Thursday Brouse told a legislative committee what it's like. "I used to be happy all the time, and now I feel like I'm drowning," Brouse said. "We feel like we have no control of our life with the barn's odor trespassing on our property all the time. It is not a manure smell, it burns your eyes, your throat; you cannot be in it. It is so brutal, it takes your breath away, you cannot breathe it, [and] it goes through the walls of your home." During the warm months of 2008 and 2009, the dairy exceeded safe levels of hydrogen sulfide nearly 800 times. The Minnesota Department of Health said the fumes were so bad, people living nearby should leave. The Brouses and other neighbors evacuated, and spent many days and nights at the homes of friends or relatives. For three years, the Minnesota Pollution Control Agency tried to find technical solutions to get the emissions under control. 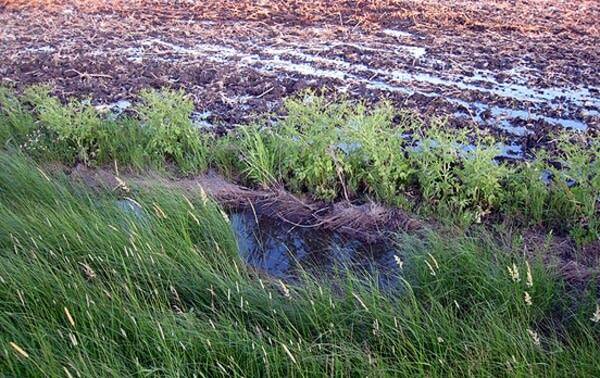 When the dairy refused to lay straw over one of the lagoons, the MPCA went to court. The judge issued an interim order requiring the straw cover, but so far -- a year and half later -- there's been no final order, so further legal action is blocked. The dairy moved the cows to one of its other operations, but the lagoons still have manure in them. Last spring, the MPCA issued a one-year permit with a long list of conditions attached -- things the dairy had to do before they could bring the cows back. The dairy has appealed the permit in court, and ignored most of the conditions. The handful of state senators at Thursday's hearing expressed shock at the failure of state agencies to find a solution. "I guess I'm surprised that our administrative citations and administrative orders seem to be so toothless," said DFL Sen. Linda Higgins from Minneapolis. "Is there no way that we can say, 'enough is enough, we're done with you people, and we're going to go in and clean it up and you're going to pay.'" That would be the Superfund approach, where the state could clean up the site and go to court to force the polluter to pay.But MPCA Commissioner Paul Eger is hoping at least one of the three existing court cases will provide an answer. "The actions we've taken, sometimes you have to go to court to have them enforced, and this case we're in multiple venues right now, and ongoing litigation," Eger said. "That's unfortunate, it's disappointing, but the MPCA has taken a lot of action in this case, and we're not satisfied with the pace of it at all." Neither are some of the committee members, and they say they'll look for ways to give the MPCA's enforcement functions more teeth. The MPCA board will decide at the end of March whether to decline to renew Excel Dairy's permit; the permit itself expires a month later. An attorney for Excel Dairy told MPR news the dairy has won all its court cases so far, and the state is acting inappropriately. The dairy's neighbors are dreading the spring thaw that will renew the smell from the manure pits.